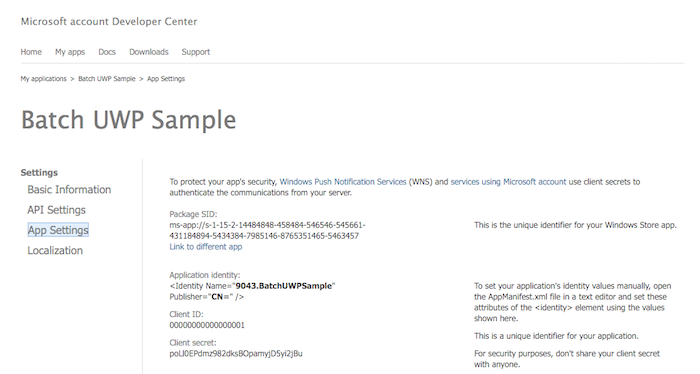 The very first step is to go to Batch's dashboard and create a new Windows app. Now let's generate your push identifiers and upload them to Batch's dashboard. 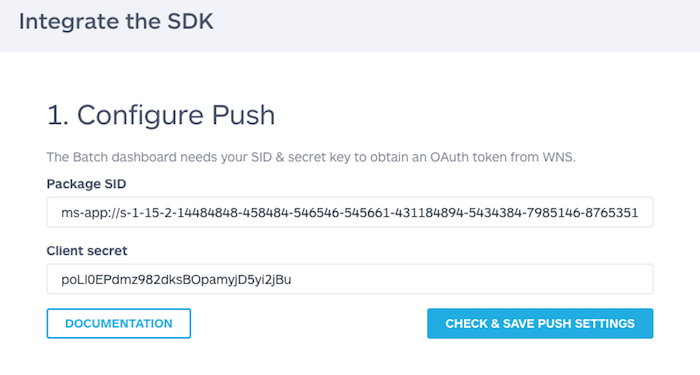 The Batch dashboard needs to have your SID and Secret key to be able to push your application.They need to match the store application you've associated your app to. 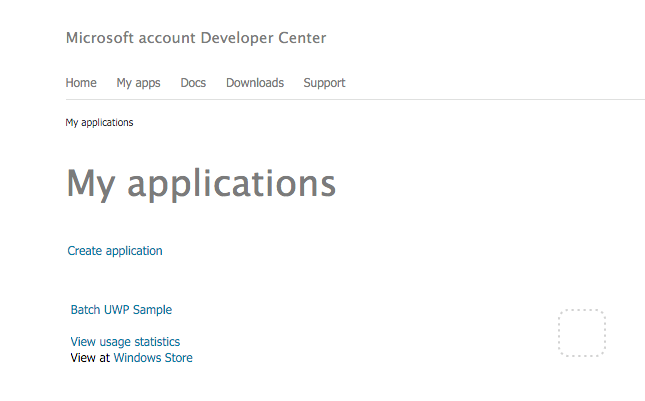 First, go to the Microsoft account Developer Center. 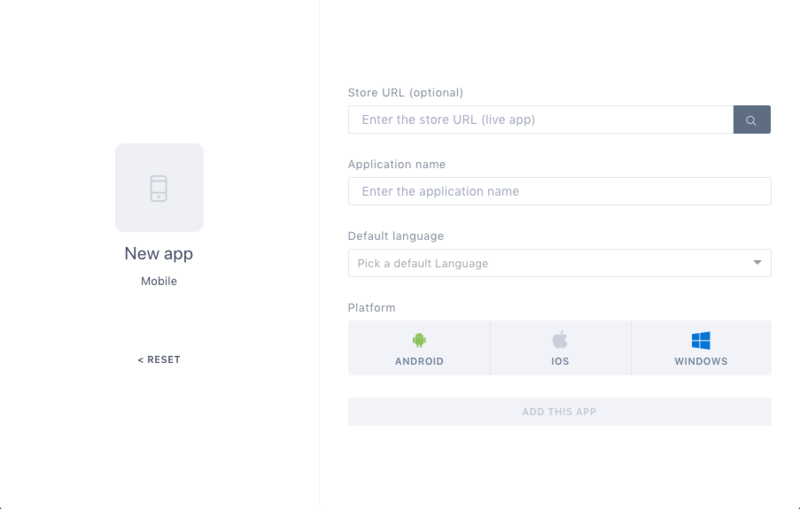 Pick your app, and click on "Edit settings" and then "App settings". Congratulations! You should see your your app settings and identifiers, with your Package SID and Client secret. Now go to ⚙ Settings → Push settings, choose a default language and paste your Package SID and Client secret.